Q: What do i get when i order? A: This site is set up to deliver prints directly to your home, you decide what you want and you decide the cropping if required. This does NOT include mats or mounting the images. Q: I saw something at the craft fair that i don't see on this site, is it still available? 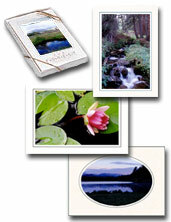 A: Yes, I don't have every item available online but they are still available to be purchased- including my film strips, greeting cards and mounted images. These can be ordered directly through me and we can discuss any details. Please feel free to contact me at heidi (at) h2wphoto.com. Q: Sometimes I see a watermark on the images, will there be a watermark on my prints? A: No, any prints ordered will not have the watermark. It is used for protection against illegal use of the images. Q: Why are the order sizes limited? A: H2W Images are taken with a full frame in mind (meaning there is no wasted space in composition), and we prefer to not have to crop images if at all possible. When a 8x10 is ordered, 2 inches of the photo are cropped out sometimes requiring an important part of the image to be removed. You can always crop the image once you get it to fit into a "normal" mat or frame, but we highly recommend getting a special mat made and having the images professionally mounted for anything larger than a 5x7 to reduce bubbling, wrinkling or damage to the print. Q: Where do I get a 8x12, 10x15, etc mat? A: You can go to any framing shop or store that offers framing (this includes Michael's, Hobby Lobby, Joann Fabrics) to special order a mat to size. This may allow the option to choose your exact color of mat and have it cut to your specifications. We highly recommend this to enjoy the image as intended without the need to crop. H2W can also cut mats to order as well, just contact me at heidi (at) h2wphoto.com and we can work with you! Q: Why don't you offer Glossy prints? A: H2W prefers metallic, Glicee, and lustre prints as they show the detail and offer the look we prefer. If you need a different format please contact us and we can do a special order. Q: I'm having problems sharing a private album, what should I do? A: First try to use the "share" button in the upper right hand corner, choose "get a link". Click on Gallery links then hit the copy button, you should now be able to past the link to the gallery into an email.